Want to be part of a fun, passionate and innovative team ready and raring to help raise funds to support The Maypole Project families? There are lots of ways you can help enrich the lives of families who have a child or young person with complex medical needs. We’re here every step of the way to support you with your fundraising and thank you wholeheartedly for making our work possible. Whether you’re taking part in an organised event, holding your own fundraiser, remembering someone special or celebrating a special occasion, you can set up your own free online fundraising page via Virgin Money Giving to manage your donations. There are lots of other ways you can support The Maypole Project, to ensure we continue supporting children and families who need us. If you have an old used or scrap car to get rid of, or know someone that does, visit https://www.charitycar.co.uk/the-maypole-project to find out more about how you can donate the value of your car to support us. You can now donate to The Maypole Project every time you shop through Amazon. Sign in through Amazon Smile and ensure you select us as your chosen charity. 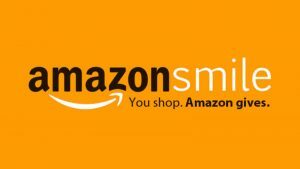 Amazon will then donate 0.5% of the price of your eligible AmazonSmile purchase to us. We’re excited to announce Savoo Search, Save and Raise as our new fundraising partner, and we’d like to introduce you to this innovative way of donating. Simply use Savoo Search as your default search engine (the same way as you would your current search engine) and Savoo will donate 1p for every search. If you’re looking to do some online shopping and want to get a great deal, Savoo has thousands of voucher codes and deals that will help you save money & they will donate to The Maypole Project at the same time. 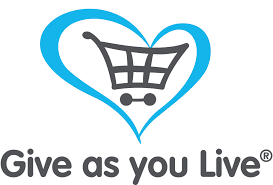 Give as you Live is a free and easy way to raise money for your favourite charity, just by shopping online. Once you’ve signed up, you can browse their website for the store you want to shop with. They will then donate a percentage of the amount you have spent to us- at no extra cost to you! Your fundraising makes a real difference. Use our shopping list below to see how your money will make life easier for a family with a child who has a complex medical need. The cost of a cinema ticket could pay for a Maypole befriender to provide a space where the person can talk about the issues they are facing. The cost of an annual magazine subscription could pay for sensory toys for children with complex medical needs.